Former President Jimmy Carter said recently that he provided maps of Islamic State positions in Syria to the Russian embassy in Washington, a move apparently at odds with the Obama administration’s official policy of not cooperating with Russia in the Syrian war. 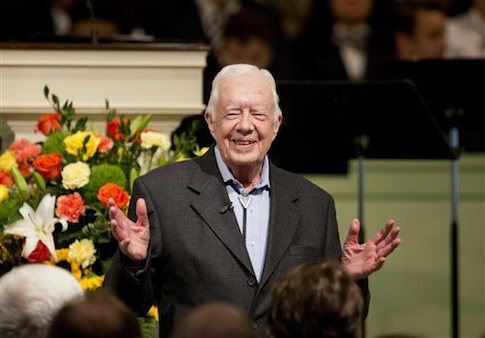 Former President Jimmy Carter described himself as “surprisingly at ease” when announcing that he will undergo radiation treatment for cancer spots on his brain. 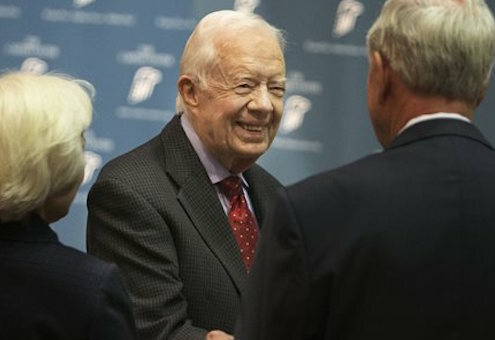 Former President Jimmy Carter revealed Wednesday that he has been diagnosed with cancer. 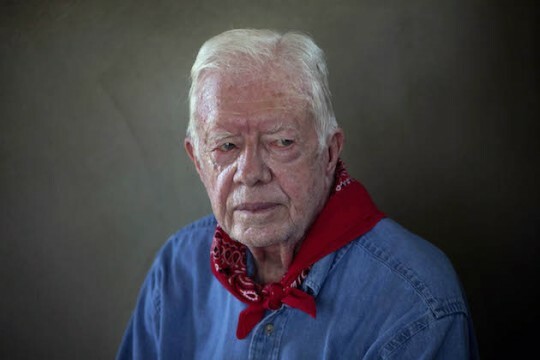 JERUSALEM—Israeli Prime Minister Benjamin Netanyahu and President Reuven Rivlin have rejected invitations to meet with former U.S. President Jimmy Carter on his visit to the region in about 10 days. 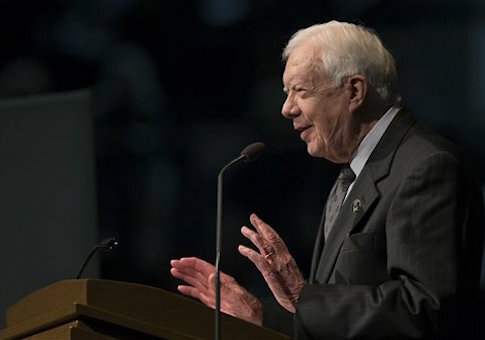 Worst Living President Jimmy Carter said something profoundly silly on Friday, and to the surprise of many, it wasn’t about the Jews.